Transplant Australia is pleased to announce the appointment of Cachelin Hall, who has filled the role of Communications Officer. Cachelin joined Transplant Australia after her team won the pitch competition at UNSW, in which 400 students were asked to develop a strategic campaign to help increase donor registration rates. She is currently in her last semester as a PR and advertising. Originally from the west coast of Canada, Cachelin started her communications career as Marketing & Communications Assistant at the not-for-profit Vancouver International Marathon Society. She then moved to Australia to pursue the competitive Bachelor of Media (PR and advertising) degree which UNSW offers. 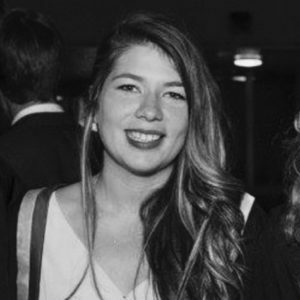 Cachelin has gained further experience in the not-for-profit sector with The Museum of Contemporary Art Australia and agency experience with Ogilvy PR where she completed an internship in crisis communications. Cachelin will be working on delivering the communications objectives of the 16th Australian Transplant Games on the Gold Coast, which are taking place on 30 September to October 6, 2018. Transplant Australia looks forward to introducing Cachelin to our supporters, sponsors and the membership at upcoming Games events, and welcomes her to the organ and tissue donation community.